Hello Revolutionaries! We love doing our research on Super Foods. We get pumped up when we find foods that turbo charge our bodies. Dr. Maoshing Ni is a Health Expert for Alternative Medicines. He truly has great information on foods that have a positive impact on our body's vitality. Below he shares with us 8 Super Foods we can place into our diet without much difficulty. Make the change like we did and be on your way to feeling great! Trying to change your habits and routines can be daunting, even when you know the changes are for the better. Try these 8 simple switches below to slim down and live a long and healthy life. For many people, the first thing they reach for in the morning is coffee. Caffeine acts as a CNS (central nervous system) stimulant, causing you to experience stress, anxiety, a racing mind, and even insomnia. For a calmer energy boost, cut the coffee and go for green tea. On average, a cup of green tea contains about one sixth of the amount of caffeine you would get from the same cup of coffee. Even better, green tea is full of powerful antioxidants that ward off cancer, and tea is a proven preventive and treatment for atherosclerosis (hardening of the arteries). Also, when combined with exercise, green tea can help you lose weight. Carry dried fruits and nuts with you as healthy snacks to replace any unhealthy ones you usually eat. Just a handful every day can help improve circulation and muscle tone. Research shows that many of these nuts and seeds are rich sources of vitamin E, lignans, and omega-3 fatty acids, which help prevent heart disease and protect you from the ravages of aging. Modern staples around the world often include refined bread, pasta, rice, and corn. These carbohydrates that have been found to be the culprits in serious conditions like diabetes, stroke, and heart disease, arthritis, and allergies. And there is no question that refined carbohydrates contribute directly to weight gain. So change to whole grains to get complex carbohydrates; said another way, swap "white" for "brown". Substitute white rice, bread, and pasta with brown rice, whole wheat bread, and whole wheat pasta. Other "browns" will bring you anti-aging benefits also. Quinoa and amaranth are two tasty grains rich in protein and easy to cook. Millet, sorghum, and buckwheat are packed with B vitamins. Red meat does have some health benefits-when eaten in moderation. However, studies have shown that men and women who eat meat every day are three times as likely to develop breast cancer and prostate cancer as those who almost never eat high-fat animal foods. Of all animal products, fish is the healthiest because of its high protein and low-fat content. The omega-3 fatty acids in fish, along with other nutrients, protect blood vessels from plaque, reduce inflammation, and prevent high blood pressure. If you just can't leave the red meat behind, choose only free-range, grass-fed, and hormone- and antibiotic-free lean meat, and eat it no more than three times a week. Butter is the bad kind of fat. Also included in this saturated fat category: peanut oil, coconut oil, palm kernel oil, and lard. All of these elevate cholesterol and triglyceride levels, leading to an increased chance of heart attack and stroke. Switch for olive oil or one of the other monounsaturated fats, which increase good cholesterol and protect you from heart disease and premature skin aging. Others include canola oil, rice bran oil, walnut oil, flaxseed oil, peanut oil, and sesame oil. Like butter on your bread? Try hummus instead. While filling, potatoes just do not contain the nutritional benefits of sweet potatoes. Yams and sweet potatoes are powerhouse foods that contain higher amounts of beta-carotene and vitamin C than carrots, more protein than wheat and rice, and more fiber than oat bran. They are also rich in plant DHEA (dehydroepiandrosterone)-a precursor hormone that is essential for the body's anti-aging defenses to work. The average American consumes nearly 240 pounds of sugar per year. Most of the excess sugar from candies, pastries, sodas, and other refined sweets end up being stored as fat in your body, resulting in weight gain and elevating heart disease and cancer risk. Instead, satisfy your sweet tooth with a berry tasty treat: blueberries, blackberries, raspberries, cranberries, and cherries. Berries are rich in antioxidants that fight free radicals and can also help remove toxic residue from the system, which is often the cause of chronic fatigue and low energy. Soda pop is very high in phosphorus, which in excess actually causes calcium loss from your bones, possibly leading you to osteoporosis. Diet soda is filled with artificial sweeteners such as aspartame or saccharin, which have shown dangerous results in tests with laboratory animals. Your best beverage is filtered water, which flushes your system of the chemicals and toxins that you encounter every day. If water by itself doesn't appeal, turn to juice and tea. One caution about fruit juice is that it tends to be filled with sugar. Cut back on sugar content by watering down your juice: one part juice to three parts filtered water. Unsweetened herbal tea, brimming with health benefits, is another way to go. 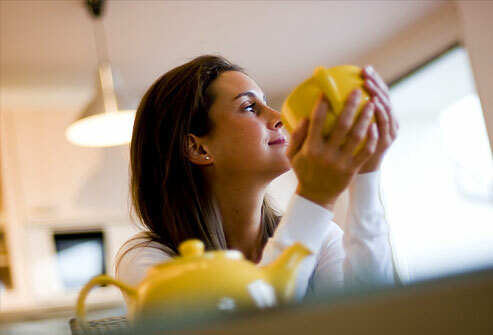 For a selection of healthy teas that promote total body wellness, click here. Make these switches and you are on your way to a healthier you!